Our facility has a spacious and inviting area for any event. We welcome you to visit us and see how we can help make your event a success. We can accommodate your family party, honoring a retirement, wedding reception, craft fair, sports ceremony, celebration of life, or bereavement collation. 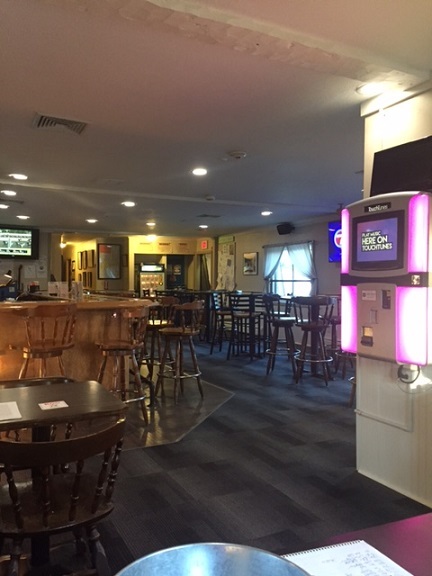 Function Room Rental Fees: Deposits: 50% non-refundable deposit is due to reserve room. Balance due prior to event. Dates are transferable based upon availability. Furniture and basic clean-up service included. The room accommodates up to 150 people*. Bereavement or Celebration of Life Memorial Collations: Function room: $150.00 for 4 hours includes a bartender & accommodations for up to 150 people*. *Additional Bartenders: The charge for an additional bartender is $50. *The additional bartender charge may be required for an event with more than 100 people. Catering: Catering is not provided by the Lodge. The kitchen is available for use. This includes a stove, oven, sink, refrigerator/freezer and counter work space. It is require that the kitchen be left is the same condition as found. Decorations: No open flames, confetti/sparkles, duct tape or push pins on the walls. All decorations are to be carefully removed at the end of your event. Furniture: 80 inch round tables are provided with complimentary chairs. A limited amount of 6 foot long tables are available. We Recycle: Please have all your guest return bottles and/or glasses to the bartender. Do not throw them away – Thank you! Trash Receptacles: Receptacles are available to dispose of plates, utensils and paper products on an as needed basis. Damages: Extensive clean-up and/or property damage will require payment by the renter. Parking: Please utilize the designated parking spaces in front of the building. Be aware that there is no loitering or alcohol allowed in the parking area. Children/Teens: We thank you for monitoring that children/teens remain with their parents at all times with the rental facility. • Payment of balance due on rental room. Call for an appointment: (781) 834-4433 Function room hours: Monday Through Sunday as planned for events. All rentals are available to the public.